On Saturday July 7th from 2pm – 7pm our 9th annual Mt. 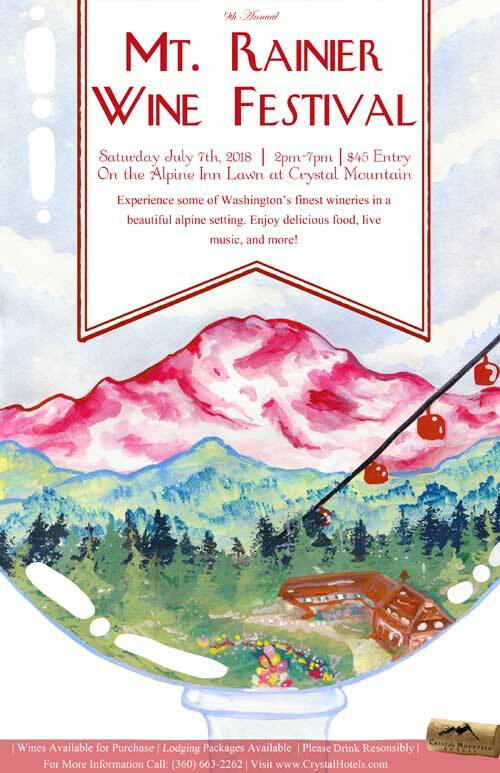 Rainier Wine Festival will be taking place on the Alpine Inn Lawn at the Crystal Mountain Ski Resort! 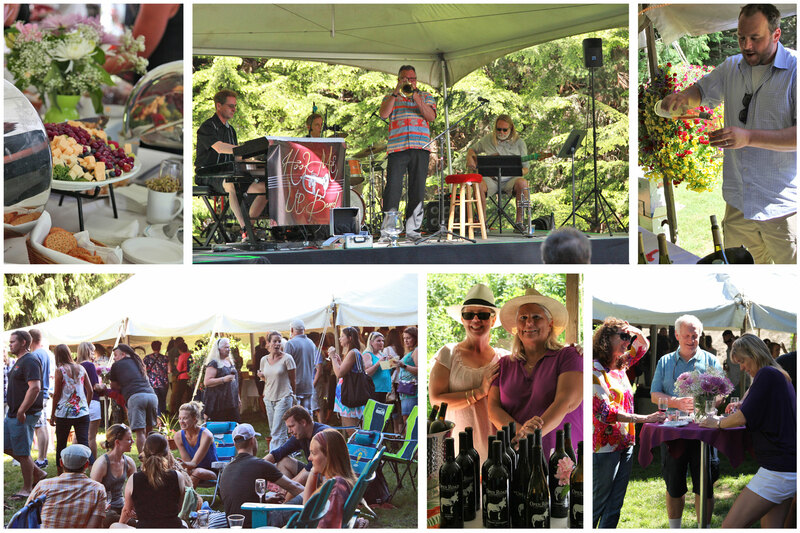 Join us for a variety of wines from local Washington based wineries, delicious tapas, and live music! Entry fee is $45 and comes with 8 tasting tickets (2oz pour), raffle ticket, and a commemorative wine glass. Tickets available at Eventbrite and can also be purchased at the door. Wine Festival and Lodging Packages are available now! Use promo code “wine” when booking a room. Package includes: Overnight Lodging, 2 entries into the Mt. Rainier Wine Festival ($90 value), 2 commemorative Wine Glasses, $40 Dinner Voucher at the Alpine Inn Restaurant, and a $28 Breakfast Voucher at the Alpine Inn Restaurant. For more information please call: (360) 663-2262 or you can email us with any questions.